This week, METRO’s long-awaited public transit overhaul now leaves the imagination, and becomes reality. 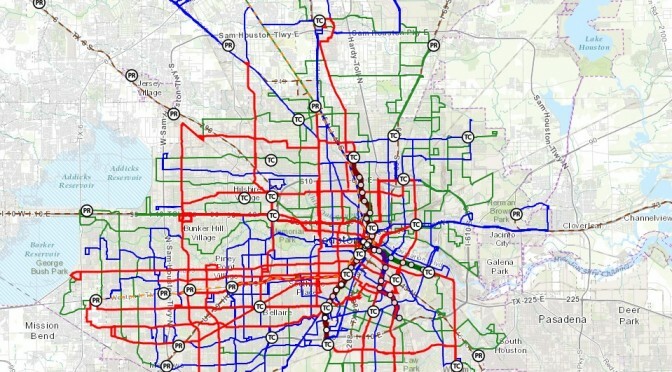 On Wednesday, the METRO Board voted unanimously to approve the System Reimagining plan, a comprehensive re-design of all of the region’s local bus routes, and released the organization’s soon-to-be new system map. 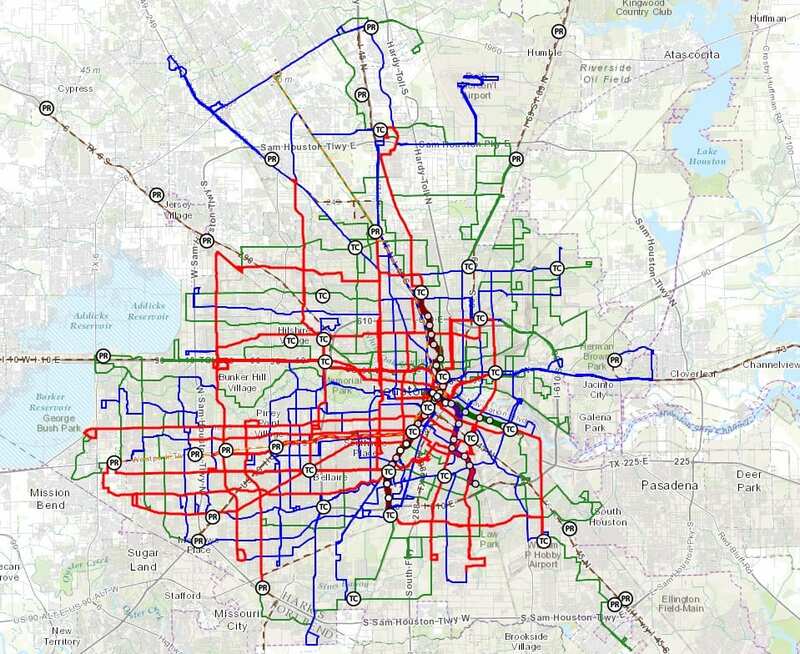 After months of planning, community feedback and a bevy of changes, Board members felt the new map was a best case scenario to serve the Houston region’s growing public transit needs. The new map carries noticeable differences from METRO’s original draft plan. Chief among them is the complete absence of Flex Zones… removed after substantial push-back from residents in Northeast Houston. At the same time, plans to dramatically improve and increase services in under-served areas like densely-populated Gulfton will move ahead. As one Board member pointed out, a vote on Reimagining is a big step forward, but more remain. Besides basic route adjustments, much work remains to be done to get the project off of the ground. METRO is now faced with the daunting task of launching a massive education campaign about the new routes and new connections that they hope riders will utilize. METRO’s target for implementation of the new routes is August of 2015, though no firm date was decided as part of this week’s resolution. 1) Expect more buses and more transfers. Many of the new routes will be shorter and more direct, which means the bus should run faster. But it also decreases the likelihood of one bus hitting lots of diverse locations. 2) Wait time per bus should decrease. The goal of Reimagining is to have a system where riders don’t have to spend all day waiting on the bus. Other cities have managed to achieve this with many of the changes METRO outlines in this plan, so hopefully that will be the net result for Houston as well. 3) Easier, faster access to popular destinations. The new bus routes will not only provide faster service, but open a wide variety of places reachable by public transit. With direct, frequent connections between areas like Montrose and the Heights or the Galleria and Northwest mall, riders will have more options for commerce, entertainment, education and employment. 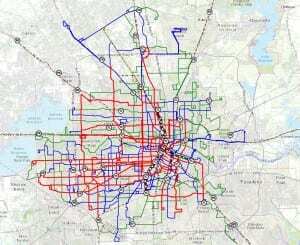 After this week, Houston’s bus system will literally never be the same. But hopefully those changes will be of great benefit to a growing city and region. Check out the interactive map, a side-by-side comparison of the old and new route maps, and full details of the new routes for yourself. Share your impressions in the comments below. Houston On The Go has more thoughts on this momentous occasion. The new METRO local bus network, via the System Reimagining page.